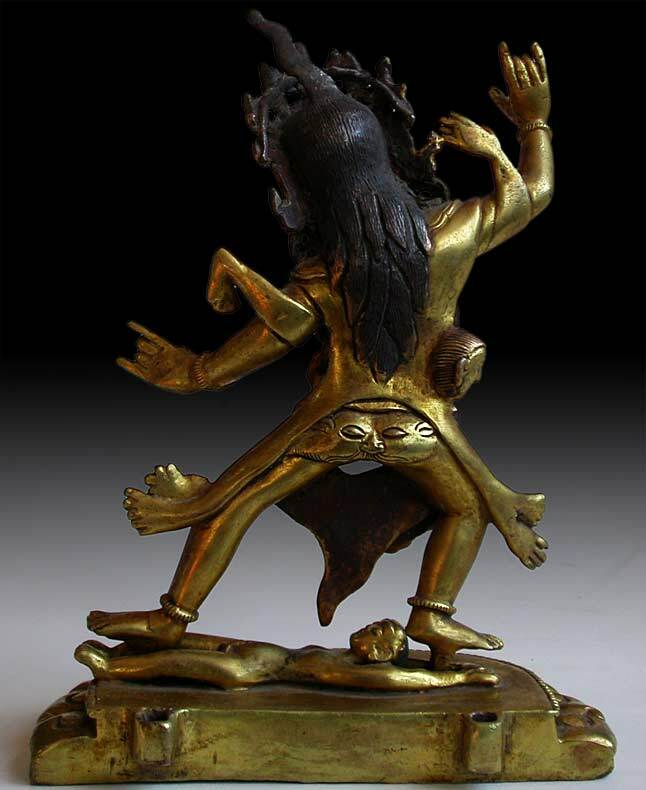 Bronze Ekajata, triumph over a lotus plinth with corpse, and a flaming wisdom fire aureole. 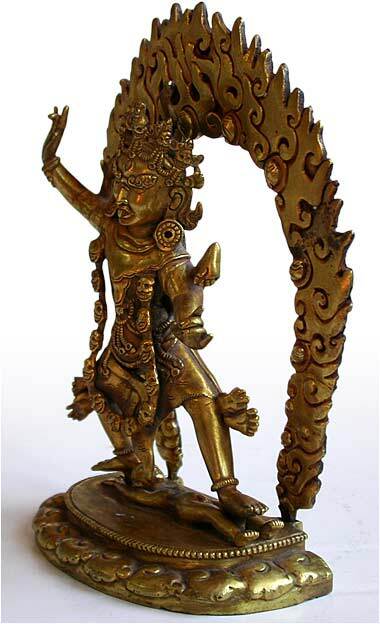 A “semi-fierce” deity closely related to the more fierce Vajravarahi, she is often depicted drinking blood from a skull cup and dancing on top of a dead body. Around her neck hangs a garland of severed heads and wrapped around her body are two skins; the upper torso sports a human skin while the waist is wrapped with a tiger skin. She wears a crown of skulls. 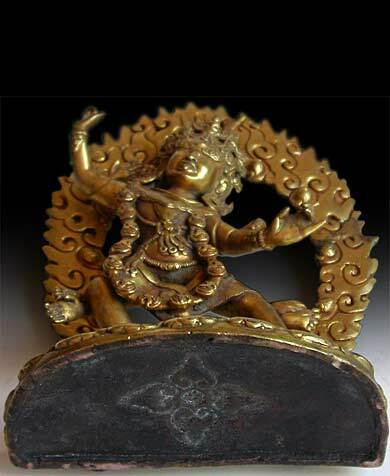 A vajra, or thunderbolt, emanates from the top of her head, representing creativity. 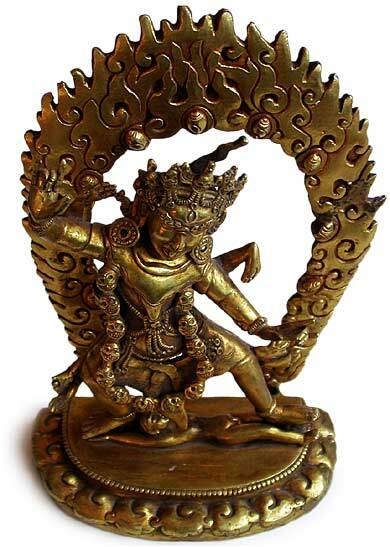 By standing above the corpse, Ekajata aggressively displays the power of creativity over the inert consciousness. Her expression is fierce and serious, three eyes and a set of fangs. 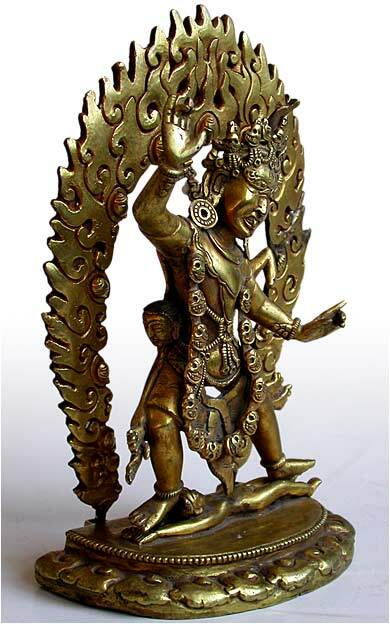 Her characteristic skull cup and flaying knife are missing from this piece, leaving her hands empty. Otherwise she is in excellent condition.